Ah me! Another day, another burger. 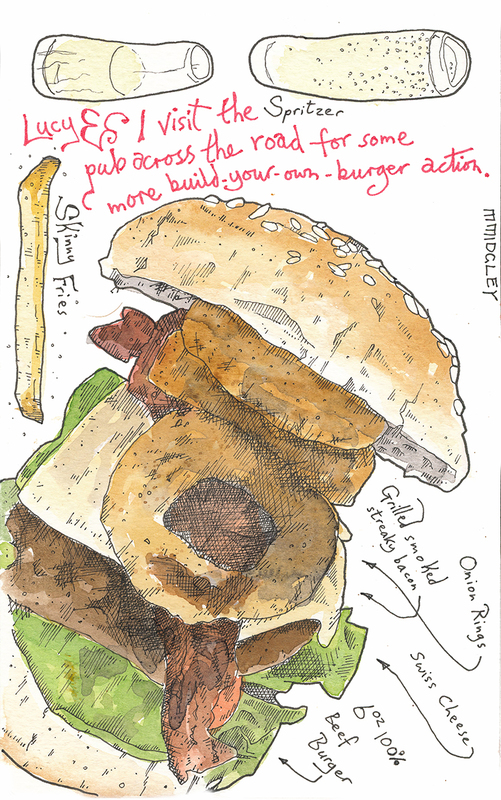 The beef burger is my achilles heel, I suspect. As a food form I feel it’s got so much more to offer than we presently see. I think it’s still trapped in the stereotype of the fast-food franchise. Some restaurants are trying to change that, but it must be difficult to alter the public’ perception when it so deeply ingrained. The fast-food chain White Castle started in the early 1920’s! There’s nearly a hundred years of this form of food being served in the this specific way. It’s really only in the last fifteen years, or so, that we’ve started to see a change in the on-street presentation of the beef burger. I relish the idea of it evolving into something greater. It is only a hot meat sandwich.